Not just because it's the world's largest fast food corporation, which it is with $28 billion in U.S. sales and 34,000 outlets worldwide in 2012. And not just because the unhealthiness of its food is legendary. McDonald's greasy fare is intentionally larded with addicting doses of fat, salt, and sugar to create a permanent customer base. But because McDonald's is quite extreme in its single-minded, often stealth corporate goal of profits over people. public health be damned. McDonald's Mighty Wings, newly introduced at the advent of wing-chomping football season. "Mighty Wings are basically McNuggets With Choking Hazards," commented one NPR on-air host. "I was as surprised to find an actual bone in this as I would be to find a bone in a banana," quipped another. Bones in Mighty Wings are about as natural as McDonald's ribless McRib sandwich. 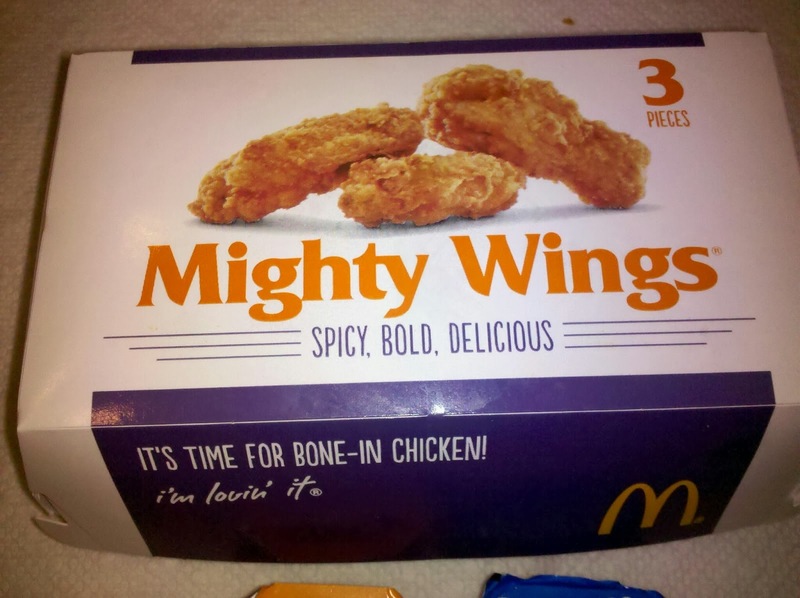 Mighty Wings are three, five, or ten "pieces" (McDonald's website lingo) per box, with the same ranch, barbecue, or honey mustard sauces used for Chicken McNuggets. Ten Mighty Wings have 960 calories, 60 grams of fat, and a whopping 2,900 mgs. of sodium (salt), 121% of the recommended daily salt intake for an adult. Misleading headlines about soft drinks in kids' meals hailed "McDonald's Ditches Soda in Happy Meal Menus," and similar, clearly stating that soft drinks would be eliminated in McDonald's popular Happy Meals. This very positive change was supposedly brokered with the Clinton Foundation, and released as happy news at Michelle Obama's recent White House to-do on food marketing. "Ronald McDonald’s slow march toward healthier meals made a major advance today... Getting soda out of Happy Meals is historic progress that should immediately be adopted by Burger King, Wendy’s, and other chains. Soda and other sugar drinks are leading promoters of obesity and diabetes and one day it will seem crazy that restaurants ever made this junk the default beverage for kids." New beverages will be "evaluated according to McDonald's food commitment pledges"
In 3 years, McDonald's will fulfill this commitment in "50% of the 20 markets." In 5 years, McDonald's will fulfill this commitment in "100% of the 20 markets." Higher-quality hamburgers were dropped by McDonald's last May presumably because the one-third lb. Angus burgers took too big a bite out of company profits. NBC News noted that U.S. "beef prices hit all-time highs" and cited"The U.S. Department of Agriculture's wholesale beef market report... showed choice beef carcasses rising 24 cents per hundred pounds (cwt) to a record $204.91 per cwt..."
Introduced in 2009, McDonald's Angus burgers provided better quality beef options than the ubiquitous Big Mac, Quarter-Pounder Cheeseburger, or the dollar-menu $1 Cheeseburger. "Who would pay $4.79 for a sandwich when the two sandwiches on the Dollar Menu are perfectly good?” defended one McDonald's consultant to Time magazine. Indeed, what foolish consumer would actually expect a quasi-quality sandwich at McDonald's? Nobody, now. 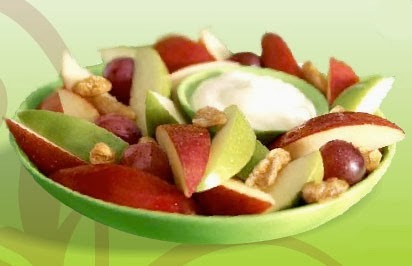 Disappearing salads on McDonald's menus include its Fruit & Walnut Salad, which was quietly dropped along with Angus burgers. The Fruit & Walnut Salad was genuinely delicious with "wedges of crisp apples, juicy red grapes, candied walnuts and our low-fat vanilla yogurt,"
Relegated to a tiny corner of the menu are meal-sized "premium" salads: Caesar, Southwest, Ranch, grilled or crispy chicken optional "with select mixed greens, elegant toppings, and choices galore." This near-invisible menu marketing ensures that premium salads will rarely be ordered in lieu of more profitable, more addictive, carb-heavy burgers, fries, wraps, desserts, and sugar-drenched drinks. Look for premium salads to likely also be dropped because sales were low. And consistency in extraordinary corporate profitability at the direct expense of public health. There's a reason why McDonald's persists as the devious poster child for what's wrong with the American fast food mega-industry: they've earned and deserve it. My only question: when will Americans finally stop supporting McDonald's profits-over-people agenda for our nation's health? For our children? "My only question: when will Americans finally stop supporting McDonald's profits-over-people agenda for our nation's health? For our children?" That is a very good question. I can't get my various family members to quit going to McDonalds or other fast "food" crime outlets. I haven't been there in YEARS! !